Shane Whitmore attributes being in the top 20 percent of 50:50 sharemilkers to efficiency gains made through regular use of DairyBase. “We can compare our business to 50 other Taranaki farms – as well as nationally – and compare costs, where we could spend more money, or what is costing us more in power, feed or in the reproductive side of the business,” says Shane. He and his wife Stephanie have 50:50 sharemilked on the same Taranaki farm for more than 10 years, their system 3 operation achieves very good production, and consistent, tight control over farm working expenses (FWE). Through using DairyBase, Shane has been able to achieve a greater harvest, which has resulted in better feed utilisation and increased production. The Whitmores’ results compare favourably with the top 20 percent, which is important to Shane. DairyBase analyses farm physical and financial information to help dairy farmers better understand their farm system and its performance and identify opportunities for improvement. Shane and Stephanie were introduced to DairyBase by their accountant at its inception, ten years ago. “I saw the benefits of comparing our farm business to others,” says Shane. Regional benchmarks are available on DairyBase largely based on ownership type, location and production system. Shane does, and believes there are always more ways to improve. 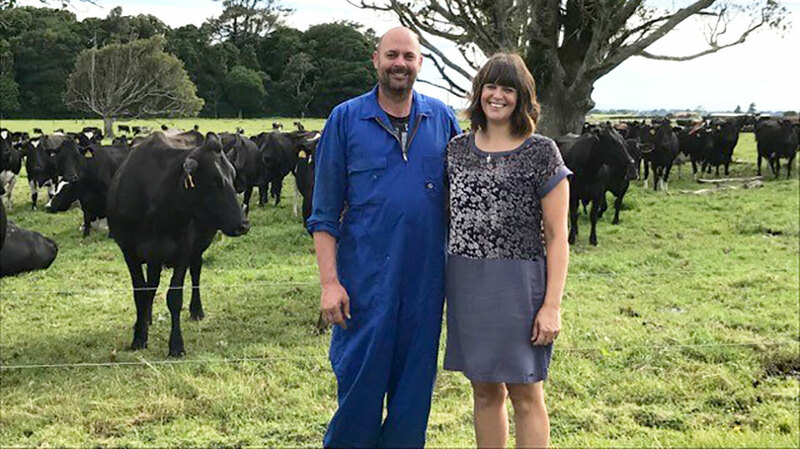 Good record keeping has helped Louise and Mark Jellyman progress through the dairy industry from lower order sharemilkers through to farm owners. Since 2013, Manawatu dairying couple Michael and Raewyn Hills have been 35 percent equity partners in Burnside Farms with Michael’s father Peter, and Brian and Alison Hills. DairyNZ’s DairyBase provided hard evidence when Gore dairy farmers Eileen and Shane Walker needed it most. For Scott Paterson, status quo is not an option - there are goals to be met.